A wrongful death lawsuit claims that the victim was killed as a result of negligence (or other type of unjust action) on the part of the person or entity being sued, and that the victim’s survivors or next of kin are entitled to monetary damages as a result of the unacceptable conduct. 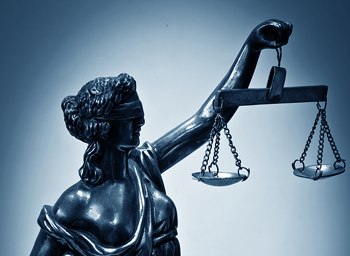 Our firm has successfully litigated numerous wrongful death cases. A wrongful death lawsuit is a claim that is brought when someone is killed as a result of another’s negligence, wantonness or wrongful conduct. The proper party to bring a wrongful death lawsuit in Alabama is the administrator of the decedent’s estate. This means that in order to bring a wrongful death claim in Alabama an estate must be set up. A wrongful death claim in Alabama is brought pursuant to Alabama Code §6-5-410. Alabama’s wrongful death statute is unique in that it only allows punitive damages to punish the wrongdoer and does not allow for recovery of compensatory damages. Any damages recovered under Alabama’s wrongful death statute passes outside of the estate and are not subject to the payment of debts or liabilities of the decedent. The Auburn, Alabama Wrongful Death Attorneys at McCollum and Wilson. have years of experience handling wrongful death cases. If your friend or loved one died as a result of the wrongful conduct of another it’s important that you consult with an experienced Alabama wrongful death lawyer immediately. We handle Wrongful Death cases throughout the state and will pursue your Wrongful Death claim vigorously. ... and various other scenarios where someone dies as a result of the negligence or carelessness of another. The statute of limitations or time for filing a wrongful death claim in Alabama is generally two years from and after the death of the decedent. If the case involves a claim against a city or county a notice of claim also has to be filed prior to filing suit. In the case of a city a notice of claim has to be filed within 6 months of the incident giving rise to the suit and in the case of a county the notice of claim has to be filed within one year of the incident giving rise to the suit. Thus, it’s critical that an experienced Alabama Wrongful Death Lawyer be contacted immediately to preserve evidence, conduct a through investigation and set up an estate. (a) A personal representative may commence an action and recover such damages as the jury may assess in a court of competent jurisdiction within the State of Alabama, and not elsewhere, for the wrongful act, omission, or negligence of any person, persons, or corporation, his or their servants or agents, whereby the death of his testator or interstate was caused, provided the testator or interstate could have commenced an action for such wrongful act, omission, or negligence if it had not caused death. (c) The damages recovered are not subject to the payment of the debts or liabilities of the testator or interstate, but must be distributed according to the statute of distributions. (d) Such action must be commenced within two years from and after the death of the testator or interstate. Our Auburn, Alabama wrongful death lawyers handle all wrongful death cases on a contingency fee basis, which means we do not charge you a fee until and unless we make a recovery for you. If your loved one died as a result of the wrongful conduct of another contact our experienced and dedicated wrongful death attorneys. The evaluation is free and confidential. Call 334-821-7799. Expertise, personal attention, and results are what we offer to the families of wrongful death victims. At McCollum and Wilson, we know that if you have lost a loved one in a fatal accident, filing a lawsuit may be the last thing on your mind. It is important that the client knows that they do have the right to take action against the negligent driver for Wrongful Death. When you are ready to take action, we will do what it takes to provide justice for you and your loved ones. If you have lost someone in a wrongful death accident, we are here to answer your questions and help you explore your legal options. Schedule your free case review today! Please call us at 334-821-7799.